Mobile development is emerging as a critical need, but also major roadblock, in the enterprise world. Businesses face mounting pressure to create intuitive, user-friendly apps that bring consumer-like functionality to the workplace. However, the need to figure out how to develop for different devices and operating systems is combining with demand for a large volume of apps to overwhelm many IT teams. The app creation problem is becoming acute as businesses ramp up their dependence on mobile apps. MarketsandMarkets found that the global enterprise app market will expand at a compound annual growth rate of more than 15 percent for the 2016 through 2021 period. When 2021 rolls around, the enterprise mobile app market will be valued at $98.03 billion. While businesses are becoming more reliant on enterprise apps, they aren’t getting better at creating them. Keeping up with app demands can put a burden on any IT team. Businesses are moving quickly to embrace mobile, something that MarketsandMarkets explained is happening because organizations are realizing they need to establish a technology framework that lets them build out mobile-ready business process frameworks. Creating apps that are robust enough to align with everyday operational needs is critical, a point that Gartner’s Leow highlights by pointing out that many businesses are struggling enough with mobile development that they are cutting corners in creating solutions. 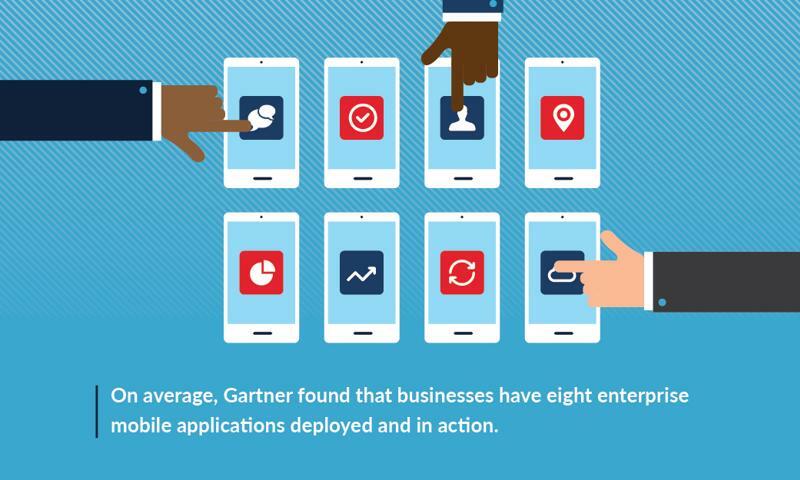 Gartner found that businesses lack the resources to create the mobile apps they need. Funding, work availability, and skills gaps are coming together to undermine mobile development. These are all problems that can be solved with low-code platforms, as the technology simplifies development and creates a strong framework for rapid app creation and deployment. There are exceedingly good reasons why mobile development is difficult in the enterprise. Device and operating system diversity are only the touchpoints. The need to create secure data workflows to protect information traveling through complex networks puts incredible pressure on developers. Features such as encryption and robust user authentication are even more important in mobile apps than traditional desktop-based systems. Varied interface types force organizations to rethink their typical interface design parameters around the mobile experience. These factors all come together to force enterprise developers to go back to the drawing board when they consider how they create apps. In essence, organizations must look to the consumer world for app inspiration and rethink the traditional rules governing enterprise apps. Low-code tools counter many of these challenges through dedicated application development platforms that create a set framework for the app to exist within. Apps are designed and developed to run within the platform, creating a much simpler and more stable environment. The mobile-first enterprise world depends on tools that alleviate the development burden on IT teams. However, this focus on the IT side of the equation also sets a foundation for benefits that extend across the business. Shifting device use patters are changing enterprise IT demands. Imagine a business that is struggling to keep up with everyday IT demands. In all likelihood, that organizations is also using legacy processes and procedures that force workers to jump through hoops to meet customer needs and adapt to shifting marketplace demands. Using low-code platforms to empower the IT team changes this dynamic by creating a more flexible, scalable development environment. With a more robust, diversified development ecosystem in place, organizations can constantly tweak their apps and services to better coordinate with operational requirements. This ensures that processes and technological capabilities consistently align, giving users the tools they need to engage customers in the most efficient way possible. Better IT operations extend to a better work environment across multiple lines of business which, in turn, trickles down to improved customer experiences. 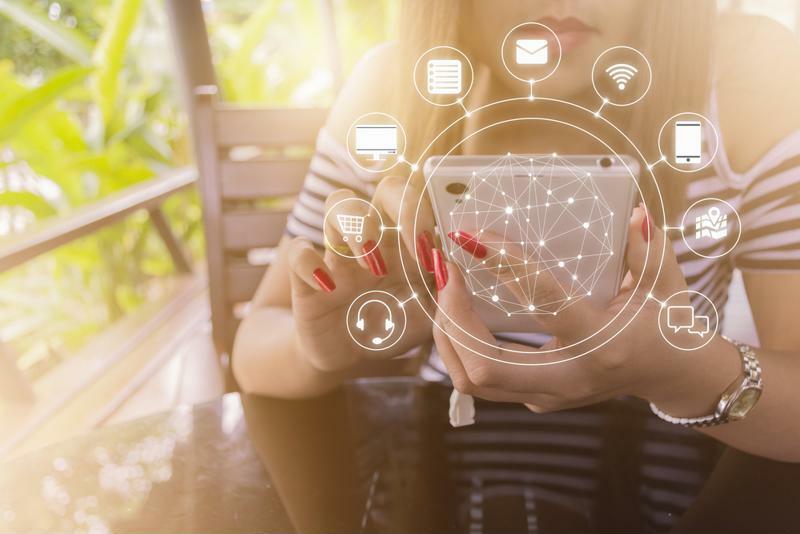 Mobile devices have been disrupting the economy for years, and businesses are still playing catch-up to new development demands and consumer-driven challenges. Improving backend IT capabilities through low-code platforms sets a foundation for sustainable innovation and helps businesses quickly make up any ground they may have lost as they try to transform around the demands of a digital world.